Yellowstone National Park played a crucial role in the 1930s in preventing the extinction of Trumpeter Swans in the lower 48 states. At their peak in the 1970s, over 50 Trumpeters summered in the Park and there were about 20 nesting territories. Now, after a decline spanning over 30 years, only a handful of swans still summer in the Park and only one nesting pair remains. 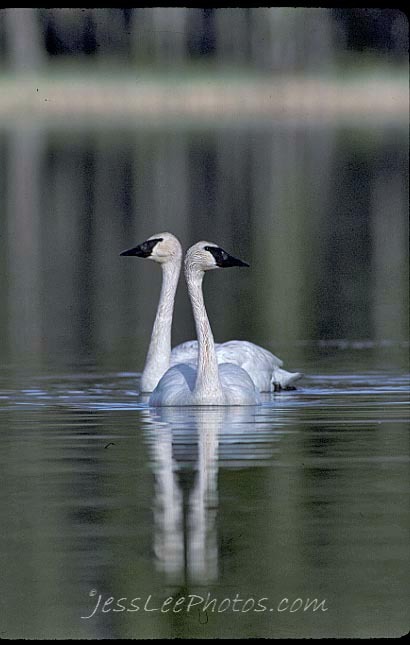 In an effort to examine all possible options for saving Yellowstone's swans, the National Park Service (NPS) convened about 30 swan, waterfowl, and wetland experts for a 2-day workshop, April 26-27, 2011 in Bozeman, Montana. 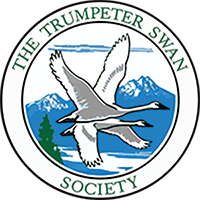 Having studied Yellowstone's swans for my Master'sthesis in the 1970s, and now coordinating TTSS's Greater Yellowstone Initiative, this issue has great personal interest to me. I attended the workshop on behalf of TTSS and made the opening presentation summarizing the history of the Park's swans. The reasons for the decline are complex and it was wonderful that the NPS brought so many scientists to contemplate the problems and possible solutions. While there may be other unknown factors involved in the decline, my research indicates that human disturbance, dating back to the 1930s, has played a major role in damaging nesting success and eliminating nesting swans from preferred habitats in the park. Coupled with the disruption of the swan families's traditional patterns of habitat use and possible genetic problems, maintaining nesting Trumpeters in Yellowstoneis a very difficult challenge.